The present study investigates the regulatory role of exogenous selenium (Se) in the antioxidant defense and methylglyoxal (MG) detoxification systems in rapeseed seedlings exposed to salt stress. Twelve-day-old seedlings, grown in Petri dishes, were supplemented with selenium (25 μM Na2SeO4) and salt (100 and 200 mM NaCl) separately and in combination, and further grown for 48 h. The ascorbate (AsA) content of the seedlings decreased significantly with increased salt stress. The amount of reduced glutathione (GSH) and glutathione disulfide (GSSG) increased with an increase in the level of salt stress, while the GSH/GSSG ratio decreased. In addition, the ascorbate peroxidase (APX) and glutathione S-transferase (GST) activity increased significantly with increased salt concentration (both at 100 and 200 mM NaCl), while glutathione peroxidase (GPX) activity increased only at moderate salt stress (100 mM NaCl). Glutathione reductase (GR) activity remained unchanged at 100 mM NaCl, while it was decreased under severe (200 mM NaCl) salt stress. Monodehydroascorbate reductase (MDHAR), dehydroascorbate reductase (DHAR), catalase (CAT), glyoxalase I (Gly I), and glyoxalase II (Gly II) activities decreased upon the imposition of salt stress, whereas a sharp decrease of these activities was observed under severe salt stress (200 mM NaCl). Concomitant increases in the levels of H2O2 and lipid peroxidation (MDA) were also measured. Exogenous Se treatment alone had little effect on the non-enzymatic and enzymatic components. However, further investigation revealed that Se treatment had a synergistic effect: in salt-stressed seedlings, it increased the AsA and GSH contents; GSH/GSSG ratio; and the activities of APX, MDHAR, DHAR, GR, GST, GPX, CAT, Gly I, and Gly II. As a result, addition of Se in salt-stressed seedlings led to a reduction in the levels of H2O2 and MDA as compared to salt stress alone. 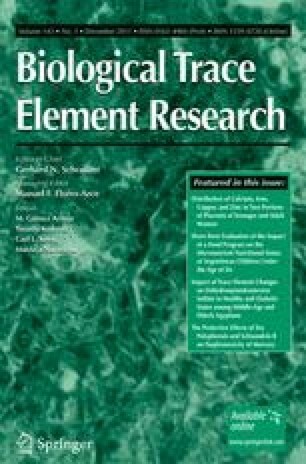 These results suggest that the exogenous application of Se rendered the plants more tolerant to salt stress-induced oxidative damage by enhancing their antioxidant defense and MG detoxification systems.